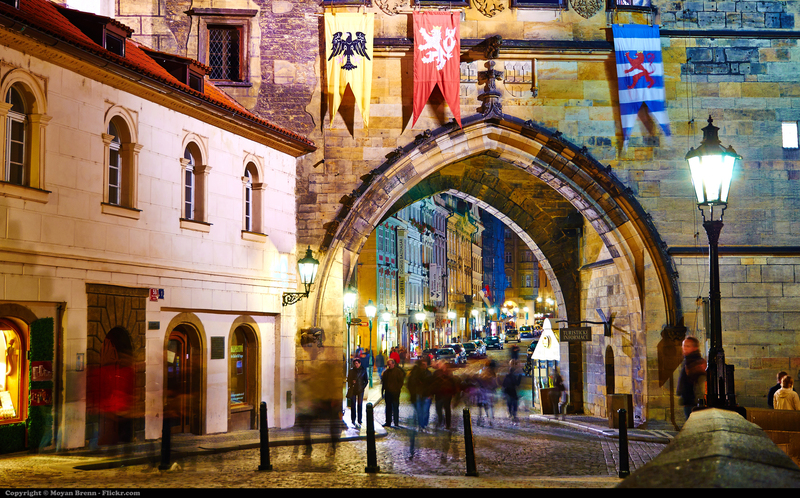 Bike in Prague and see Germany and the Czech Republic like never before! 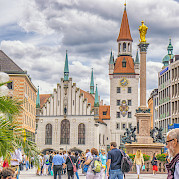 On this bike tour of the Czech Republic and Germany, you will visit antique UNESCO towns Prague and Cesky Krumlov, the stronghold and cradle of Czech reformation Tabor, as well as fairytale-like castles of Konopiste and Hluboka nad Vltavou. Another highlight is the center of the Czech brewing industry, České Budejovice, where you can taste its famous product, the Budweiser Budvar. 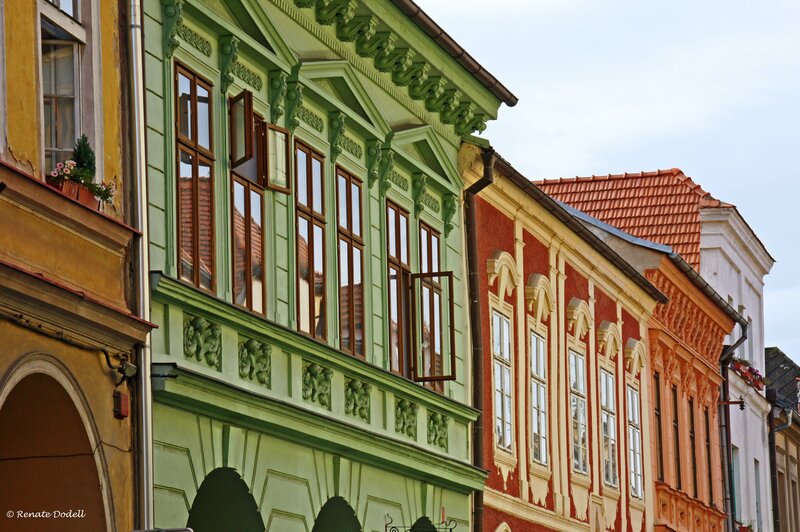 Along the route, visit the preserved renaissance town, Cesky Krumlov with more than 300 historical buildings. Cross the former iron curtain through deep woods of Sumava - the biggest national park of Czech republic. 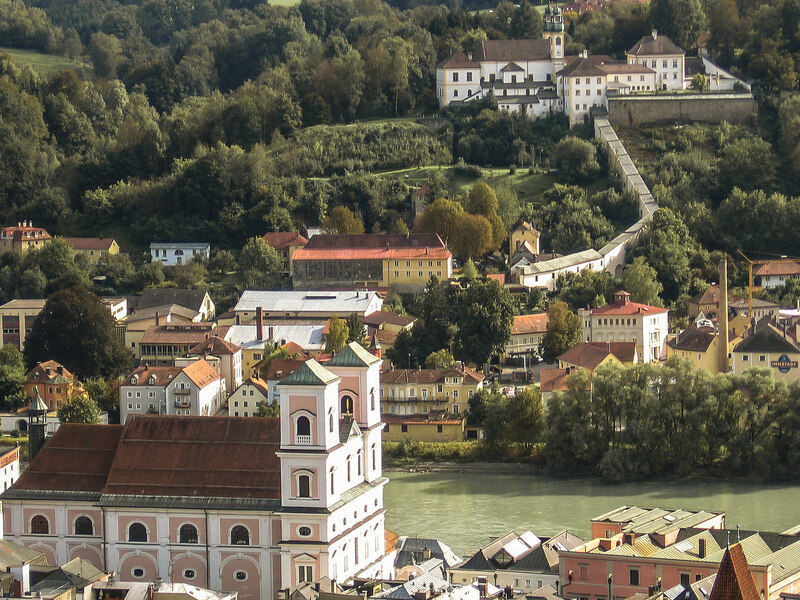 Your journey ends in Passau, an ancient bishops town located on the banks of the Danube River. 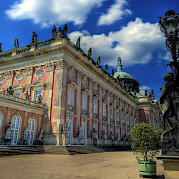 Check out our other Czech Republic bike tours and Germany, too! Fly to Prague. 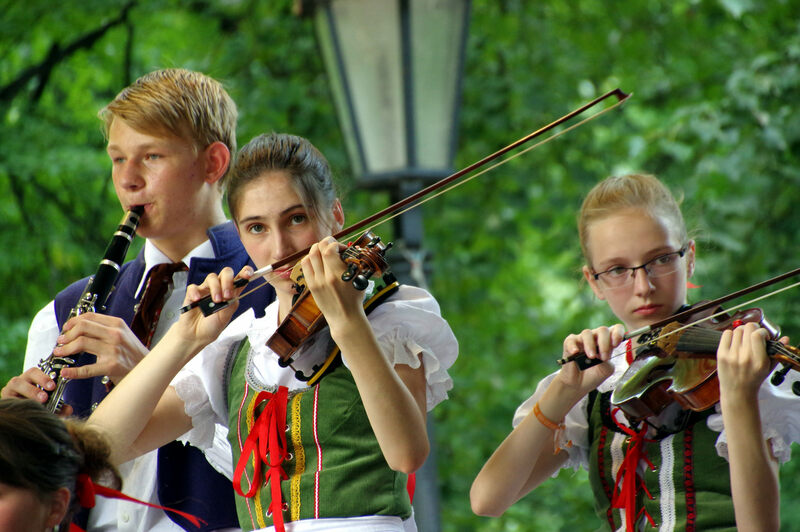 For return, you can book a bus transfer from Passau back to Prague. Bus takes ± 4 hr. ; train is ± 8 hr. Taxi to first hotel in Prague. Can arrange for pick-up by request. 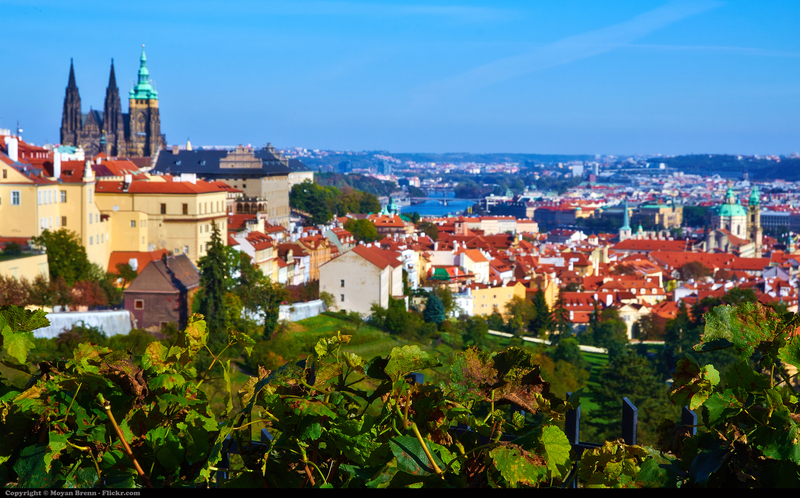 Average high temperature in °F for Prague is 54 for Apr, 64 May, 69 June, 72 July, 73 Aug & 65 Sept.
We always suggest spending extra night before the tour. You can also book a private Prague by Bike tour that is guided by locals who love and know their city. Very good 3 star to 4 star hotels; rooms with private facilities. 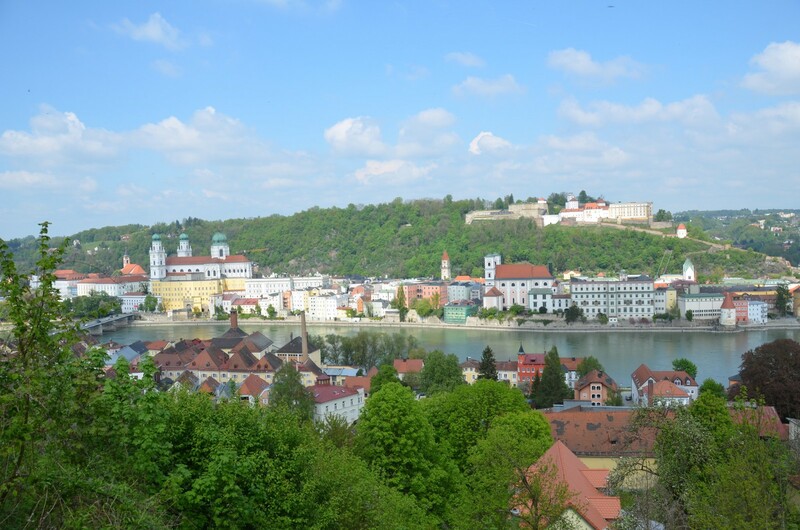 Extra nights in Prague and Passau available. Moderate to difficult self-guided hotel tour. 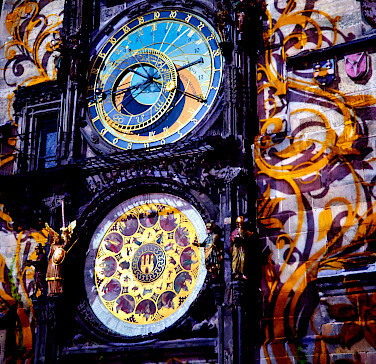 The day is yours to explore Prague, the "Paris of the Central Europe". You are free to relax, shop, or stroll the streets. You can also opt to take the unique Prague-by-bike tour. The tour is guided by locals who love and know their city and can showcase much more than any travel book. Finish your experience with a glass of good beer in an carefully chosen place. 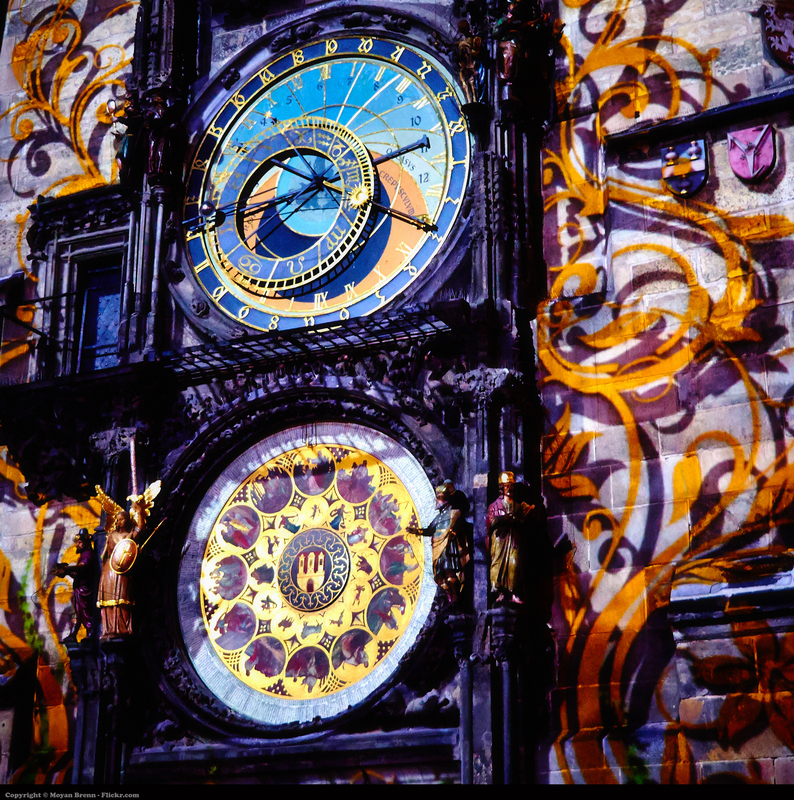 If time allows, it is suggested that you book a few extra nights in Prague before the tour to enjoy all the city has to offer. Your first biking day starts easily on bike trails bordering the relaxed Vltava river. After 20 km on flat ground, you leave the river valley and climb to the romantic Posázaví highlands. Every climb will reward you with peaceful views of the surrounding countryside. At Zbořený Kostelec, you can take short hike to a hidden castle ruin. From here you continue to nearby Týnec nad Sázavou, home to the former Jawa factory and the nest of Czech motorbike culture. Today's stage ends with a visit to Konopiste Castle, the summer palace of Archduke Franz Ferdinand D ́Este. The assassination of this would-be-emperor in Sarajevo in 1914 was a cause of World War I. 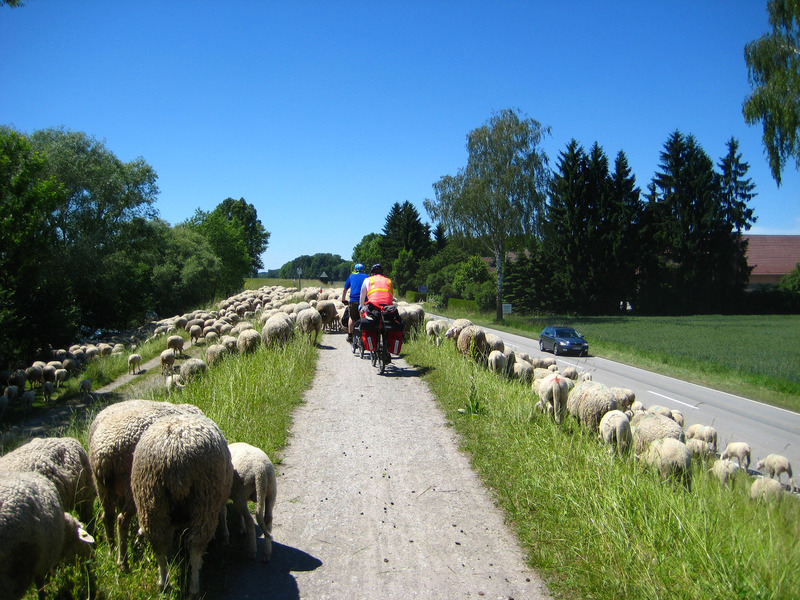 The second day offers gentle biking along roads and byways through peace-filled Central Bohemia. The part you bike through today is sometimes called Czech Meran for all its little undulations, or Czech Siberia for rather chilly winter mornings. Your climbs are rewarded with fantastic views. 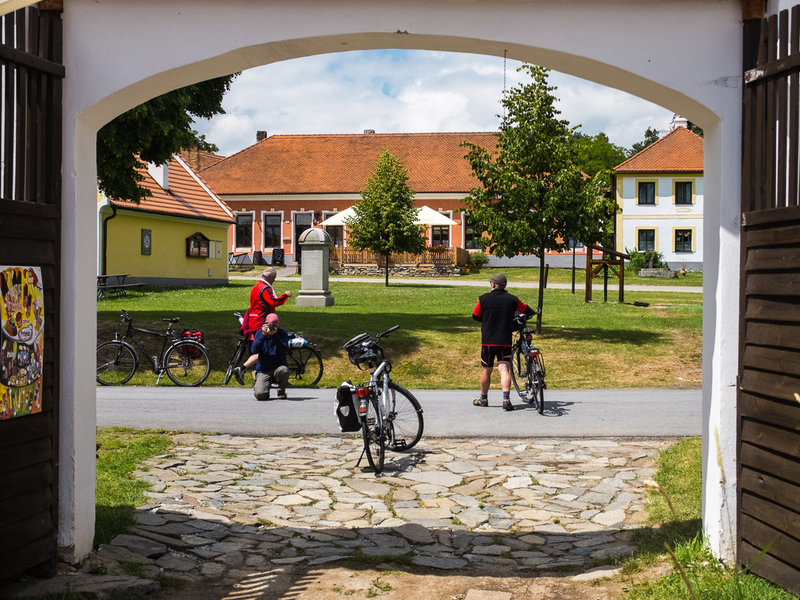 After passing through this cycling heaven, you will end up in Tábor. 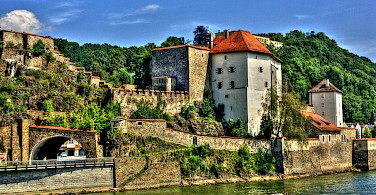 This mighty fortress served as the headquarters of the Czech Reformation during the 15th-century Hussite wars. 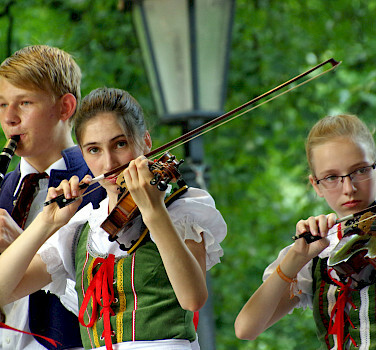 Enter the South Bohemian region today. It is well known for its hospitality, fish farming, and architectural style called the folk Baroque. 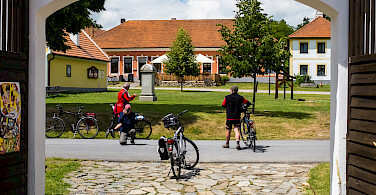 The stage of this bike tour will lead you through picturesque villages of this region and you visit the village of Zaluzi with a well-preserved open-air museum of folk architecture. In the Borkovicka Marshland, besides admiring this natural wonder, you will learn more about peat mining. 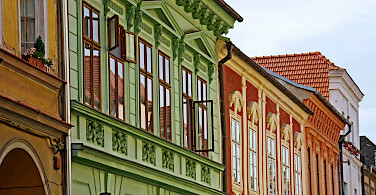 In Dolni Bukovsko, stop by an early Gothic church of the Birth of Virgin Mary with precious Gothic mural paintings. The highlight of today’s stage is the visit of neo-Gothic castle in post Tudor style in Hluboka nad Vltavou. 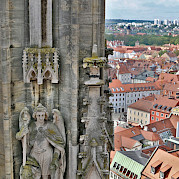 This fairytale-like building can be easily identified by its numerous towers and yellow color. 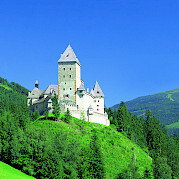 The inside of the castle hides treasured items from the Schwarzenberg collection, which are carefully arranged throughout the castle's 141 rooms. 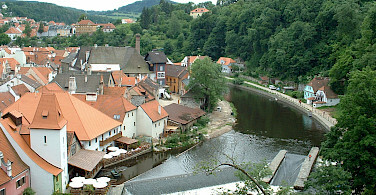 Just after breakfast, cycle upstream of the Vltava River to the South Bohemian metropolis – Ceske Budejovice. 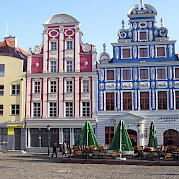 Besides the well maintained main square with a Baroque fountain and the Black Tower, this town is famous worldwide for production of the Budweiser Budvar beer. One sip of this golden drink is proof that the several hundred year tradition of beer making in Bohemia is the true national treasure. Further, visit the old monastery of Zlata Koruna (Golden Crown), which dates back to the 13th century when it became an important center of education and ruling power of its time. 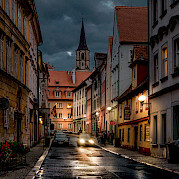 At the end of the day, you enter the town of Cesky Krumlov, known as “Pearl of Renaissance”. Admire a complex of more than 300 historical buildings surrounding a Renaissance castle, which used to be the residence of the most significant aristocratic families in the times of the Bohemian Kingdom. 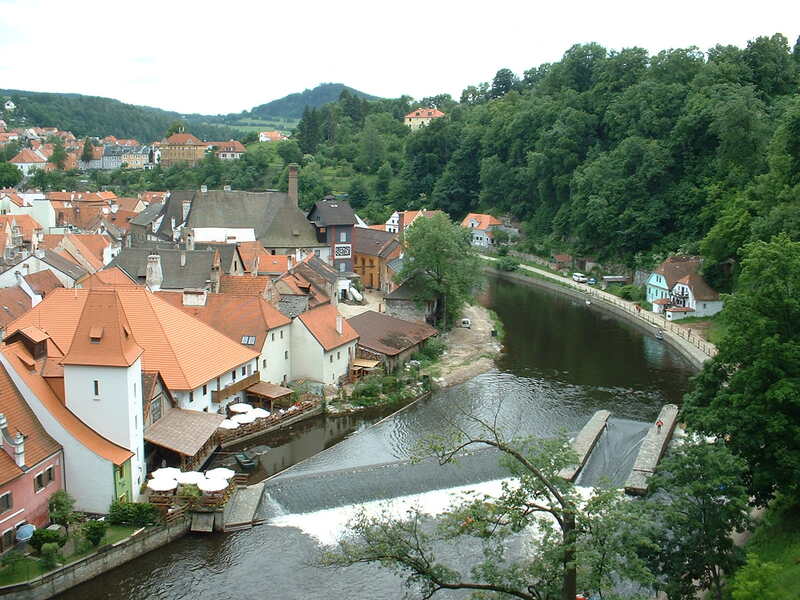 After Prague, Cesky Krumlov is the most popular tourist destination in the Czech Republic. Visiting this town will definitely be the highlight of the tour. In the morning, you will be transferred to the Šumava NP area. The train/car will take us to Nová pec right on the banks of the Lipno lake. From here, you will bike along the river upstream through deep woods, peat bogs, and meadows of Šumava national park. Near Stožec, you will cross former iron curtain to enter Germany. From here the trail joins a dismantled railway which has been made into the perfect cycle trail which leads through the hilly area near Waldkirchen. 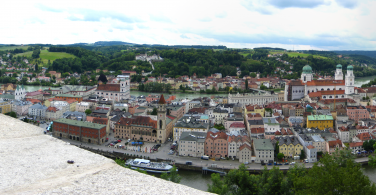 From here, the route is rolling up and down through the bavarian rural area on small side roads and bike trails until reaching your destination - Passau right on the banks of the mighty Danube river. 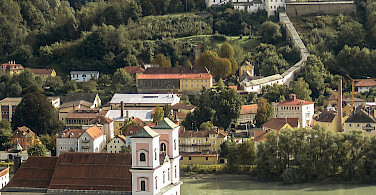 It is recommended to extend your stay to further explore Passau! 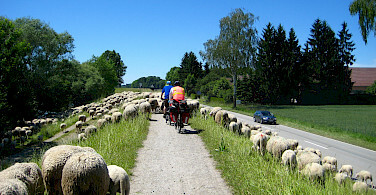 Be sure to check out all of our bike tours in Europe or look at our featured bike trips, specials, and news. 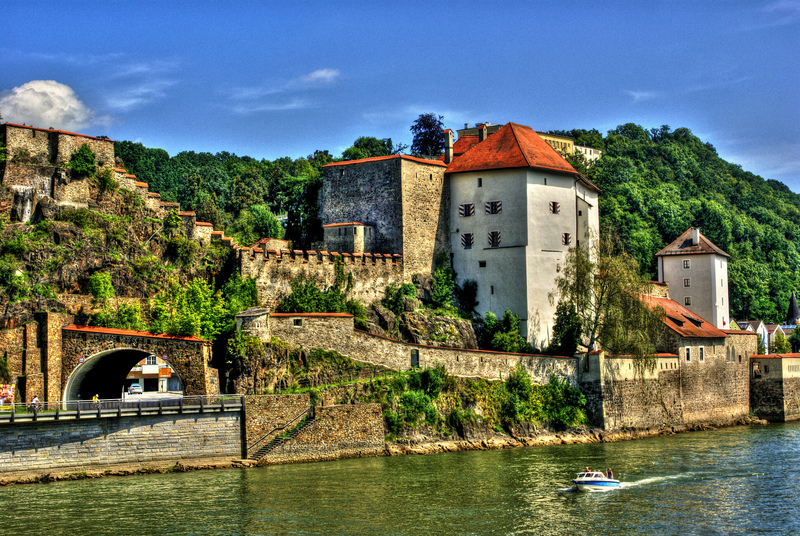 If its only the Danube you desire, check out all of our Danube bike path tours. This tour is run by EBT. Fantastic countryside, towns and beers!! Beautiful routes and towns make this a "must do" tour that exceeded all my expectations. The routes were sometimes quite challenging, as I hoped they would be, but I always arrived in each town with plenty of time and energy to walk around and enjoy the fabulous sights, shops, and cafes. The hotels were all very clean, comfortable, and pleasant. The hybrid bikes are well suited for the route and were equipped with two particularly welcomed features: rear panier bags and a fresh pair of Schwalbe Marathon tires. A couple of absent features that also would have been very welcome are a cycle computer and clear sleeve on the handlebars for the route notes. I recommend bringing SPD clipless pedals and shoes. 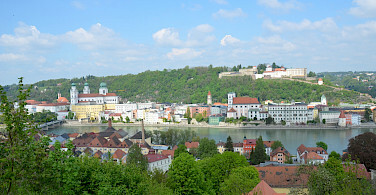 And I highly recommend allowing two or three extra days in Prague and at least a full day in Passau.